What Are My Options Concerning My House In A Divorce? Following the real estate collapse in the past 5 years, more people owe more on their homes than the home is worth than prior to the real estate bust. Many have no equity in the home and some are even under water because they owe more than the value of the house. Historically, when people divorced, it was common for people to fight over who would get to keep the house because there was equity in the house. The house was not only desirable for emotional reasons, it was also often the most valuable asset in the marriage and was expected to increase in value. In today’s market though, it is common for parties to fight over not taking the house. No one wants to be saddled with a mortgage that they cannot afford for a house which has no equity, so both spouses are more likely to try to get out of the house. This has been a relatively new dilemma for divorcing parties, for attorneys and for courts. Here are your 3 options for dealing with this increasingly common problem. If you can sell your house, you may be able to pay off the mortgage and start fresh. The risk in keeping a house which has no equity is the very real risk of foreclosure. A homeowner would have to keep the home and continue to make mortgage payments until the real estate market recovers to the point that the home has more value. A homeowner may have to work with the mortgage company on a short sale in order to avoid liability for any remaining balance owing on the mortgage. Both spouses will likely have to remain on the mortgage until the house is sold but once the house is sold, both will be released from the debt. If parties do not want to sell the house while it has no equity, the parties can choose to rent the house until the market recovers or until there is some equity in the house. One party can assume the responsibility of caring for the home or the parties can share it. If the parties decide to rent the property, they will also have to decide if one of them will take the tax deduction and claim the rental income or if they will share the income and/or the tax deduction. Renting the home allows both parties the option to live somewhere new while still getting some income from the home until the right time to sell arises, or at least buy some time for the real estate market to fully recover. Both parties will likely have to remain on the mortgage until such time as the home is sold. 3. Stay in the House. 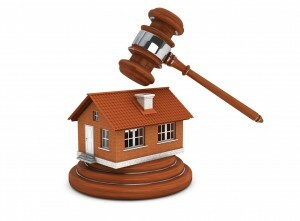 One party may decide to take the risk and assume possession and the sole interest in the home. The risk is that the home may not ever be worth as much as the amount owed on it, but the potential benefit is that over time, the house will have value again and in the meantime, they will receive the tax deductions for mortgage interest and property taxes. If one party is willing to assume that risk, the party should not owe anything of value in return for getting the house. For example, if the house had equity of $200,000, and the wife decided to keep the house, then she would have to compensate the husband for his $100,000 marital share of the equity in the house. When the house has no equity, there is no reason to compensate the other spouse. The house may have value someday, but it might not. The person willing to assume the risk will solely assume the loss or the profit from that decision. For more information or to schedule a consultation, please call California Divorce Mediators at (949) 553-0911 or visit www.cadivorcemediators.com.